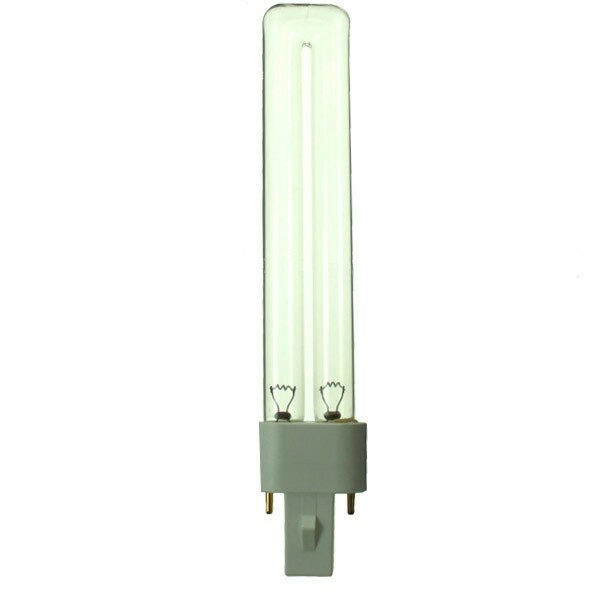 UVC Germicidal 13 Watt PLS TUV Bulb. The G23 (single lug) fitting on this lamp makes it a suitable replacement for many pond filters including the Hozelock EasyClear 9000. There is also a GX23 version with two lugs on each side of the base.